With the increasing popularity of smartphones, they have become the prime sell and brand awareness tool for marketers. New campaigns need to be designed around the smartphone and other high-end mobile devices if they are going to have the greatest market penetration. There was a time in the not-so-distant past when web designers would create a desktop website and then a mobile version that resided at a different domain. This meant double the cost and twice the maintenance for e-commerce sites. Now developers use one website that is responsive to the user’s device and needs. Market consulting company Nielsen Norman Group says that responsive websites are dynamic based on device size and orientation. That definition is a bit limited because today’s responsive designs change based on user need, preference settings and cookie-based demographics. Business owners need to make sure that every site in their marketing campaign is responsive. Only focusing on smartphones and tablets is becoming outdated, however. With the advent of wearable technology like Samsung Gear and the Apple Watch, digital marketing is positioning for yet another big change. Wearable tech skews to the millennial generation and is more interactive than other forms of mobile marketing. Geofencing and other new marketing systems are geared for this type of mobile technology. They capture the location and movement statistics of the wearer and enable business owners to interact based on that information. For example, athletes can be targeted from their exercise activities or elderly by health demographics. 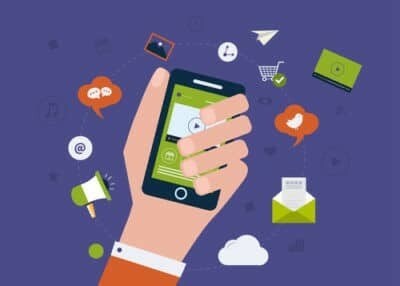 Mobile buying is a new enough phenomena that research is just now breaking down buying behaviors between traditional, online and mobile cohorts. Mobile shoppers tend to be faster decision makers, rely on online reviews and are more situational in their buying decisions. Systems that make this easier for mobile buyers are the new holy grail of marketing. QR codes, geolocation tags and in-store kiosks are just some of the mechanisms that marketers are using to tap into mobile shoppers’ habits. Business owners can break down the user interface and marketing methodology. Structural components are the ones that make the site and its corresponding marketing campaigns work for the user. Dropdown menus, navigation bars and one-click enlargement fall under this category. Texture is more about how it looks and includes the way the information makes users feel. Research shows that males are more influenced by structure and females are more engaged by texture, so business owners should keep this in mind as they segment their market. For both women and men, the way they feel when they are exposed to a marketing message is the cornerstone of their buying reaction. In other words, if they feel good, they are more likely to buy. Color is the single strongest mediator of emotion in a nonverbal world. Generally, yellows promote a friendly belief, reds are excitement and off-white is balance. These are not hard-and-fast rules but more like guidelines, so use the information with moderation.